Having one awesome imagination but having to abide by strict rules – that doesn’t settle so well for Rafe Khatchadorian in the highly-acclaimed movie, “Middle School: The Worst Years of My Life.” This extraordinary movie has become a massive hit amongst all ages and is a film that everyone was rushing over to see as soon as it hit the movie theaters. Allowing us all to enter in the life of Rafe Khatchadorian and his wild imagination is the immensely talented and stupendous actor, Griffin Gluck. We can go on and on about how much of a phenomenal actor Griffin Gluck is. He brings out his brilliant acting talent so effortlessly and he is definitely well on his way of becoming a household name. Griffin Gluck has proven himself to be the acting sensation that he is with all of his countless amount of fan-favorite projects. From being in “Middle School: The Worst Years of My Life” to other projects including the movie “Just Go With It” and excellent shows such as “Red Band Society,” “Back in the Game,” “Private Practice,” and more – Griffin Gluck always does a magnificent job in every acting project he works on. He has an amazing personality that captivates everyone. Griffin Gluck is truly spectacular and everyone’s favorite person ever! I, Alexisjoyvipaccess had the honor of covering Breaking The Chains and Glitter Magazine’s Fall Reception event and had a great time interviewing the terrific Griffin Gluck at the event. Griffin Gluck dished exclusively to Alexisjoyvipaccess all about what it was like working on “Middle School: The Worst Years of My Life,” what is one thing that he would keep from the set of the movie, what rule he would like to make that everyone would have to follow, and so much more only in our VIPAccessEXCLUSIVE updated interview. Griffin Gluck even took on a fun speed round and spilled on something fans may not know about him, what is something he can’t leave the house without, and more – hear what Griffin Gluck had to say in our VIPAccessEXCLUSIVE interview below and catch some awesome interview-bombs by his cast-mate Thomas Barbusca. Thanks for the fun interview, Griffin – it was a blast chatting with you! 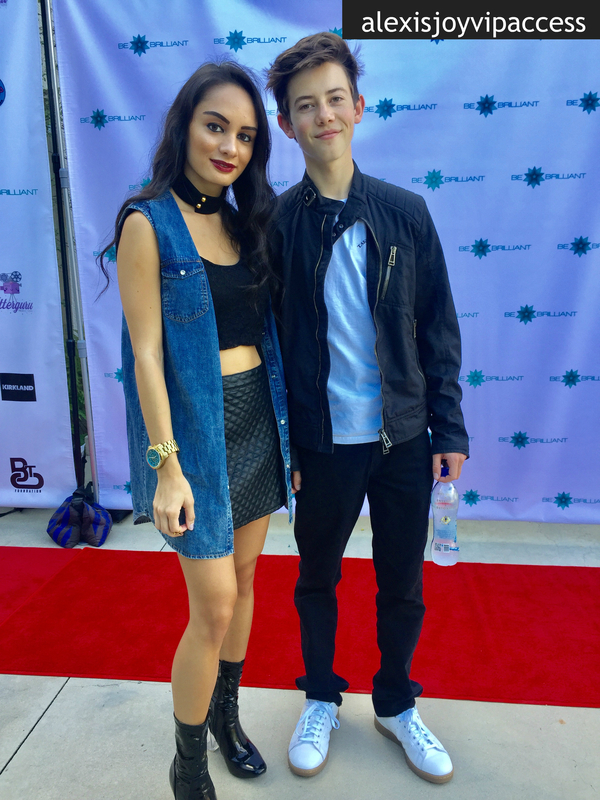 Check out my VIPAccessEXCLUSIVE interview with the multi-talented Griffin Gluck at the Breaking The Chains and Glitter Magazine Fall Reception event below! Previous VIPAccessEXCLUSIVE: The Extraordinary Ricardo Hurtado Interview With Alexisjoyvipaccess At Breaking The Chains And Glitter Magazine’s Fall Reception Event! Next VIPAccessEXCLUSIVE: Alexisjoyvipaccess Covers Lisa Vanderpump’s Inspiring First Annual Vanderpump Dog Foundation Gala – Recap Here!